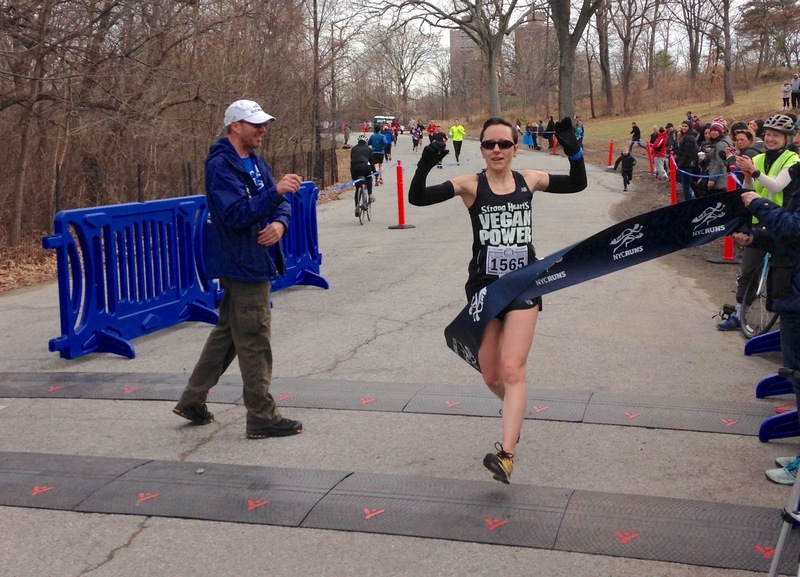 Last weekend I ventured to NYC to run a tune-up race prior to my marathon (which is now only 2 weeks away!!). Also to obtain the elite qualifying time I needed for that marathon. Did I run time I needed? Yes. Did I run the time I wanted? No. But hey, that’s what tune-up races are for – to see where your fitness is and what improvements need to be made. Yes, I am celebrating a win, however the greater experience I got from this race lies in what I take away from it. As with any race, you learn. This race took place, as you can infer by the name, in Central Park. The half marathon consisted of 3 loops – each one slightly different from the last. As much as I studied the course map I was nervous about making an error. However the signage for each loop was easy to read and understand, the volunteers and course marshals were on top of directing you appropriately, and I had the added benefit of the lead female cyclist riding alongside me throughout the entire race. Not only would she tell me whenever an aid station was near, but she would also ride ahead to each intersection that she could stop and make sure she was directing me to the appropriate loop. She was awesome! This was the first race in my Topo Tribute’s. Verdict: I love them. They are super-lightweight, extremely breathable, and provide the perfect amount of protection for the ride. 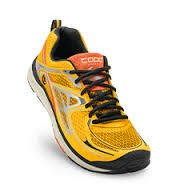 Basically, I did not even notice my shoes at all, which is exactly what I want in a zero drop racing flat. If you want to read a comprehensive review of the Tribute, check out this one. NYCRuns put on a great race. It was well-organized, well-staffed, and they provided nice swag along with a post-race spread including lots of fresh fruit that you don’t normally see at races. Berries and grapes? Yes please! 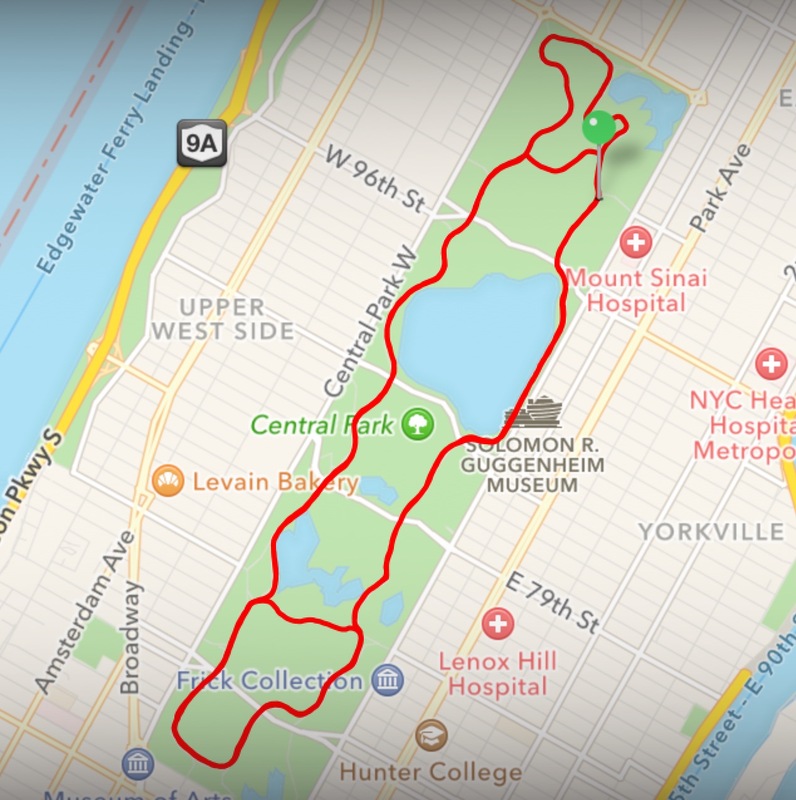 This entry was posted in race, race report and tagged #centralparkhalf, NYCRUNS, race, race report, racing, running, Skratch Labs, Strong Hearts Vegan Power, strongheartsrun, Topo Athletic, tothefront, Tribute, vegan athlete, Vegan Power, vegan runner by lljkline. Bookmark the permalink. Great race! Running in Central Park never gets old!